Code Club (Code Club or Program Club) is a worldwide network of free extracurricular activities, completely managed by volunteers, with the goal of teaching children to computer programming. 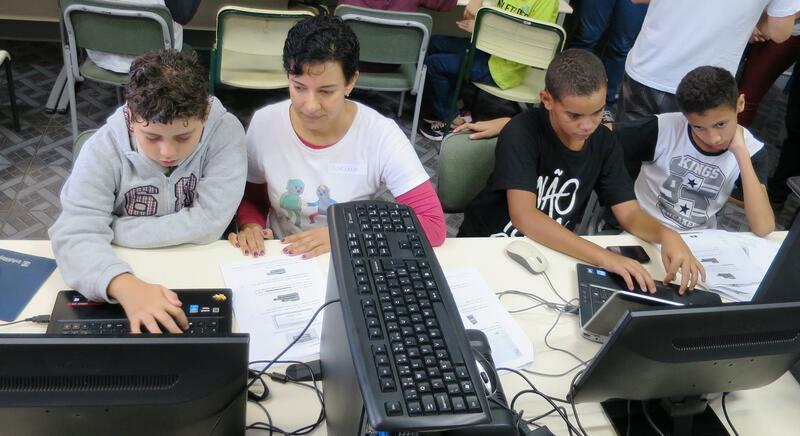 In our clubs volunteers teach kids how to program by creating games, animations and web pages. Volunteers work in schools and / or public spaces, in one-hour workshops, once a week using the material we provide. The mission of Code Club is to make every child have the opportunity to learn how to program. To this end, we provide teaching material and a volunteer structure that supports extra-curricular activities related to computer programming. Code Club Volunteers attend an hour a week to a place to help children ages 9 to 11 learn to develop games, animations and websites using the resources made available by us. Saturdays: from 10hs to 12hs. Closed on July.